With a hand in both goals in Borussia Dortmund's 2-1 win over 1. FSV Mainz 05 followed up by a place in the Official Fantasy Bundesliga Team of the Week, Andre Schürrle could not have wished for a better start to his BVB career. Is Andre Schürrle in your Official Fantasy Bundesliga squad? Play and win now! 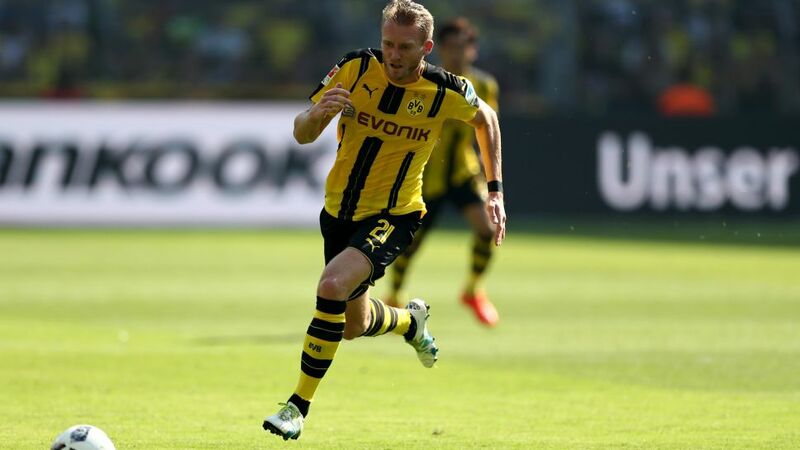 Question: Andre Schürrle, your Bundesliga debut for BVB was a runaway success - both for the team and for you personally. Andre Schürrle: The win was the most important thing. We were missing a little something - we could have killed the game off with the goal-scoring chances we had early on. It went well for me personally: I got an assist, won the penalty [that led to the second goal]; I was also involved in a few promising moves and had a couple of decent shots on goal. I felt great, which is what matters most. We can expect good things with the quality we have going forward. Question: There were some extra celebrations from you in front of the Südtribüne at the end. What was that about? Schürrle: It was incredibly important to win the first game, especially for morale. We really wanted to win and that's what we were committed to doing, even though we knew it wouldn't be easy. It's only three-and-a-half weeks since we all got together for the first time. Not everything is going to go as you'd like. At this stage, wins are the most important thing. You could see that in my celebrations. Question: How difficult was it to kick into gear in such high temperatures? Schürrle: It was brutal - you had to keep taking a breather. After every burst, you were gasping for air. It was so demanding. In that sense, we could have done with our second goal coming sooner. Schürrle: He set me up for a goal in the Cup a few days ago, now I've laid on two for him - that's football.